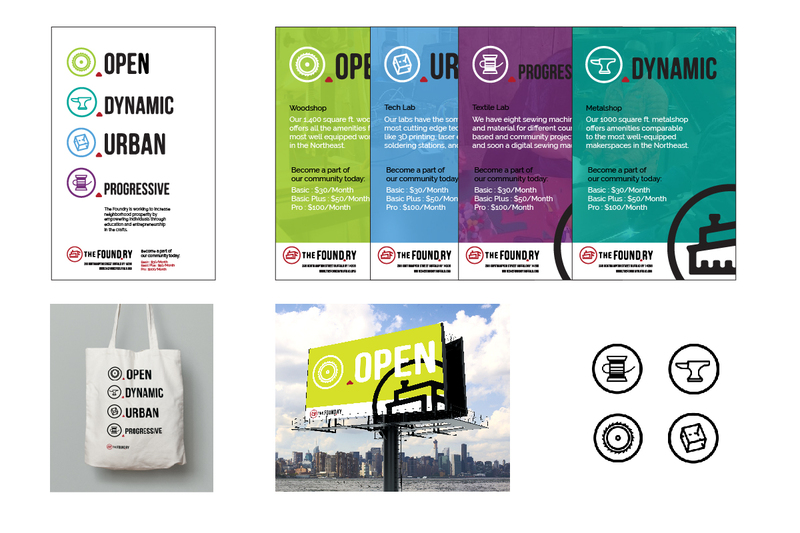 In what has evolved into an annual event, the third installment of our BrandHack event featured a local non-profit looking for an updated icon set and 11×17 poster to be used in places like bus shelters and message boards around their target neighborhoods. 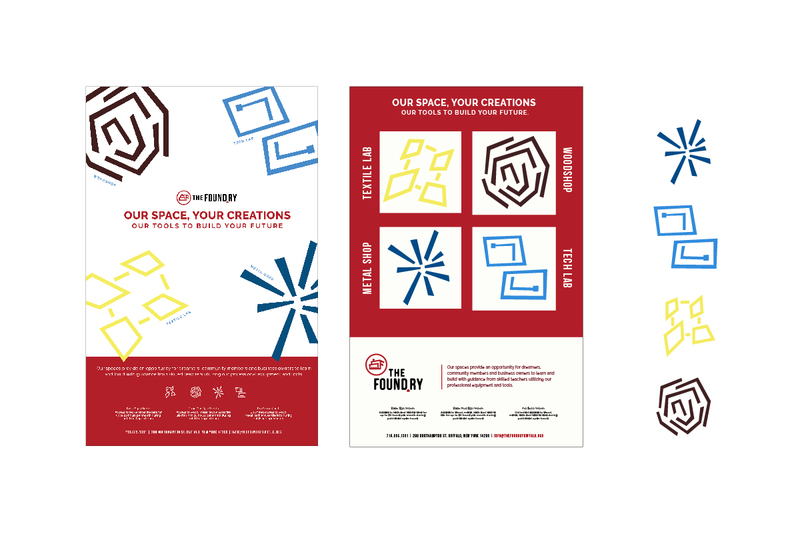 The Foundry’s mission is to increase neighborhood prosperity by empowering individuals through education and entrepreneurship. 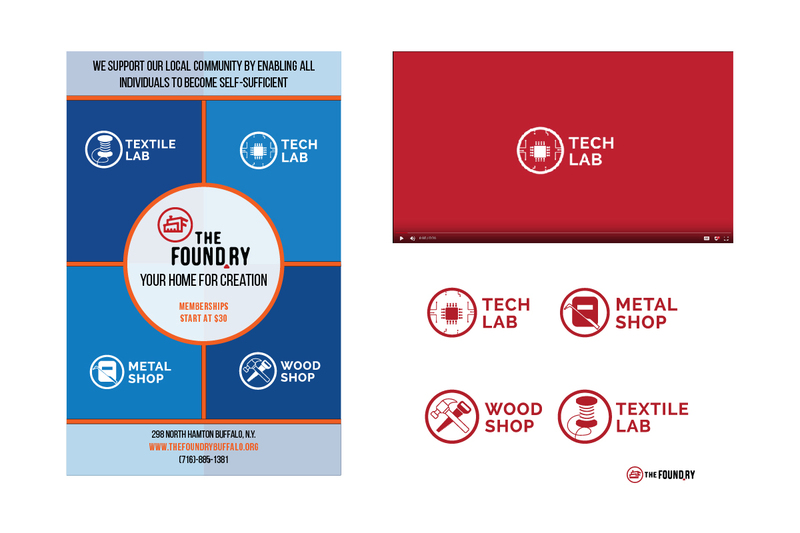 One of the ways they accomplish this is by offering memberships for their four makerspaces – wood, metal, tech and textile. 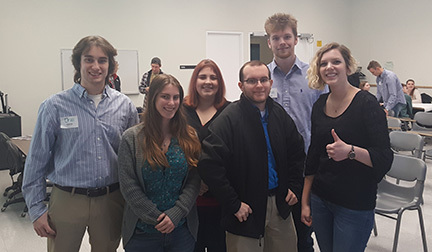 Four teams of students (and a pro or two) representing St. Bonaventure, Buff State, UB, Daemen and Hilbert took to UB’s Center for the Arts and were tasked with designing the elements The Foundry was looking for to brand and promote their makerspaces. 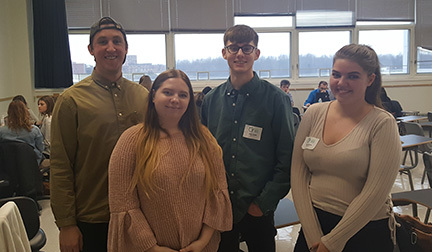 Leading the teams were seasoned professionals from the area – Megan Sweeney from Gelia, Andrew Martis from martin., Chelsea Turton from Luminus, and Casi Hall from Invest Buffalo Niagara. 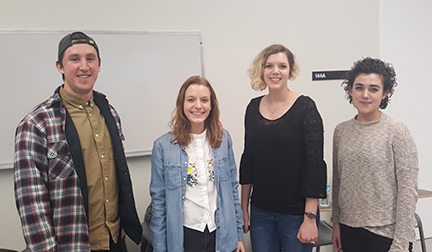 These designers provided guidance and advice for the teams from brainstorming and development through execution. The format remained the same from 2017. Teams had five hours to organize and create their ideas before pitching them to our two judges, as well as The Foundry’s representative. 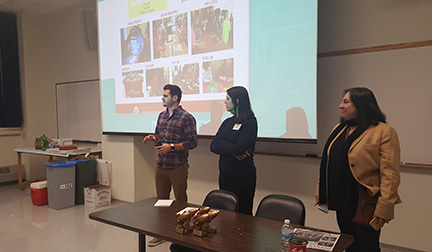 Our two judges, Frank Conjerti from Quinlan and Amber Rampino from 19 IDEAS, offered their expertise throughout the event, and made sure the teams were on track and accomplishing what they had to on the tight deadline. 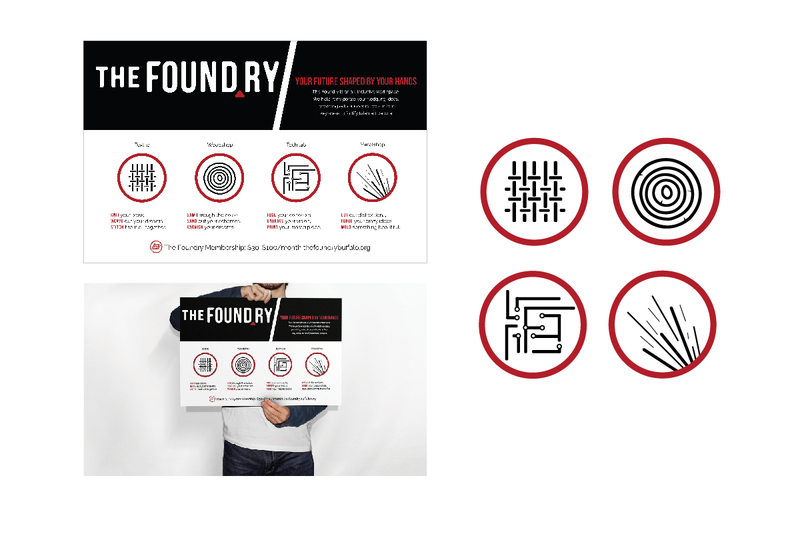 While representing The Foundry, Deb Sarlin provided the students with an in-depth description of what the makerspaces’ goals are and what the client’s hopes were for the materials. 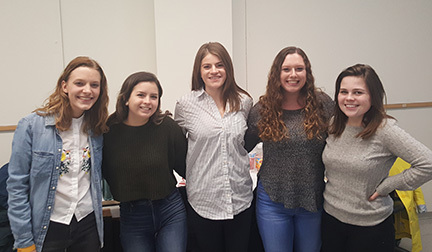 Each team beat the clock and produced some well-executed, unique work along the way, including some pro bono work in the form of a short video, merch designs and a website. Congrats to all the students and captains for producing another great event! 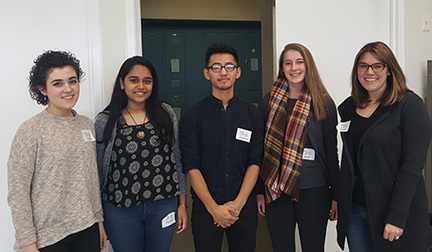 “We were so impressed by the energy and dedication involved in the BrandHack event. 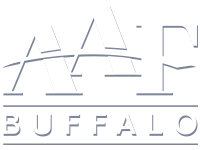 The fact that we may use some of the work produced within the Buffalo community is fantastic!” said Deb Sarlin, Director of Education at The Foundry.